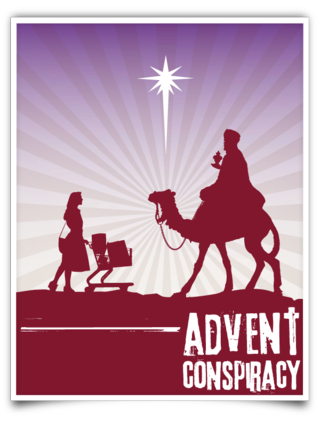 Around the start of December every year, TMTF promotes the Advent Conspiracy: an annual project that provides safe, clean, drinkable water for people in poorer countries. This year, we want to do a little more. This December, TMTF might support the Advent Conspiracy (and one other charity project) by holding… what? What? But—what?! WHAT?! That’s right, TMTF might hold a fundraiser for charity! Well, TMTF might set up a fundraising webpage for charity. I suppose there’s a difference. I’ve wanted to hold a fundraiser on TMTF for a year or two, but the prospect daunted me. At last, I’ve decided to give this fundraising thing a try. An amazing organization called Living Water International drills wells and provides safe water solutions all over the world. I would like to create a Living Water donation page in December representing this blog and its readers. Working together, we could help save lives this Christmas! Living Water is a Christian organization. As not all of my dear readers are Christians, I would like to include an alternative charity: Child’s Play. This awesome/geeky organization donates video games, toys, and other goodies to kids in hospitals. Child’s Play doesn’t seem to have individualized pages that track donations, but TMTF could easily link to the organization’s general donations page. If TMTF puts even one Legend of Zelda game in the hands of a sick child, I will consider this blog’s entire existence justified. Although fundraisers can accomplish great things, they’re often really boring. Worry not! TMTF is here to put the fun in fundraiser. I’d like to create a Kickstarter-style tier of rewards for donors. While I haven’t worked out all the details, the idea is to acknowledge donations with small benefits. For example, donors who give a dollar receive a digital thank-you message. Donors who give five dollars also get a shout out on this blog. Donors who give ten dollars receive an actual thank-you card in the mail. Larger donations might receive benefits like guest posts for donors’ blogs or websites, personalized poems or very short stories, or inclusion in a raffle to win a copy of my book. I’m open to further suggestions for rewards. What’s that? You’re wondering why—if I’m really so excited by the possibility of holding a charity fundraiser—I haven’t already decided to hold one? Here’s the thing. A fundraiser can’t work with just one person… unless that person is Batman. I’m not Batman. I can plan a fundraiser, but I can’t fund the whole thing myself! It has to be a group effort, and I can’t hold a fundraiser without hoping readers will support it. That said, I’ve created a poll to test the waters and figure out whether a TMTF charity fundraiser is feasible. The poll will last a week; I’ll post reminders on this blog and on Twitter over the next few days. If you ever glance at this blog, please take ten seconds to cast your vote. And please be honest. And vote only once. And spread the word! This entry was posted in Faith, Life, the Universe, and Everything and tagged Advent Conspiracy, Christmas, crazy idea, TMTF by Adam Stück. Bookmark the permalink.